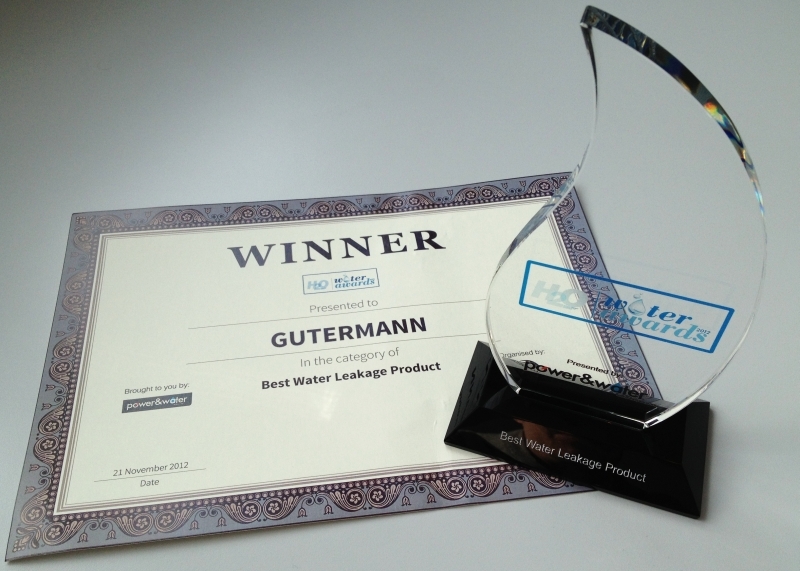 Once again are Zonescan Alpha and Zonescan Net recognised as a leading-edge technological product when it comes to leak loss reduction products and technologies. 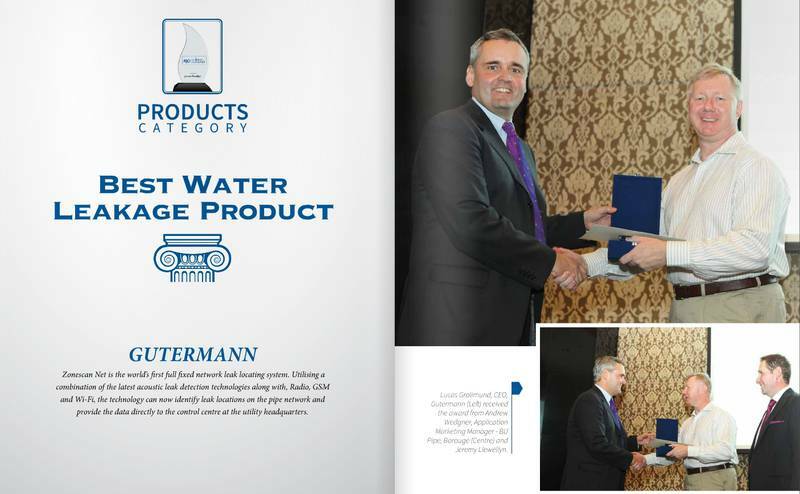 At the 3rd annual H2O Water Awards, organised by CPI and held around Dubai's Middle East Water Leakage Summit at the end of November 2012, Gutermann - represented by CEO Lucas Grolimund - received the award in recognition of the successes of Zonescan fixed network monitoring as part of one of the largest water loss projects in the world, Abu Dhabi / Al Ain. 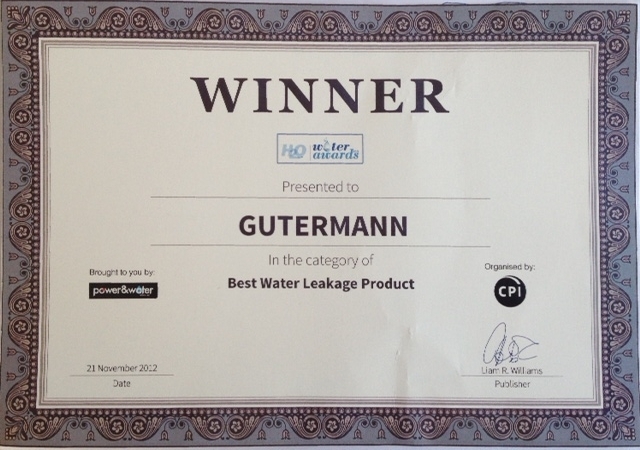 Thanks to Zonescan ADWEA have been able to reduce water losses in the deployed areas significantly. Officially, awarded projects or chosen on the basis that they "have made significant contributions to the advancement of the region's water industry" and are "expected to demonstrate a high standard of excellence and quality as well as processes and innovations that promote sustainability". This is not the first award Zonescan has received international recognition. Similar awards have been won in the USA, Slovakia and in the United Kingdom.